So glad that you could join us for another week of great inspiration! I'm Kelly from the Essence of Home and will be your host this week. Last week, I was very busy with my son's bedroom makeover and adding some fresh pops of color to a few rooms in my house. I look forward to sharing more of that with you this week. Now, for this weeks party, remember that we have added two new hosts. 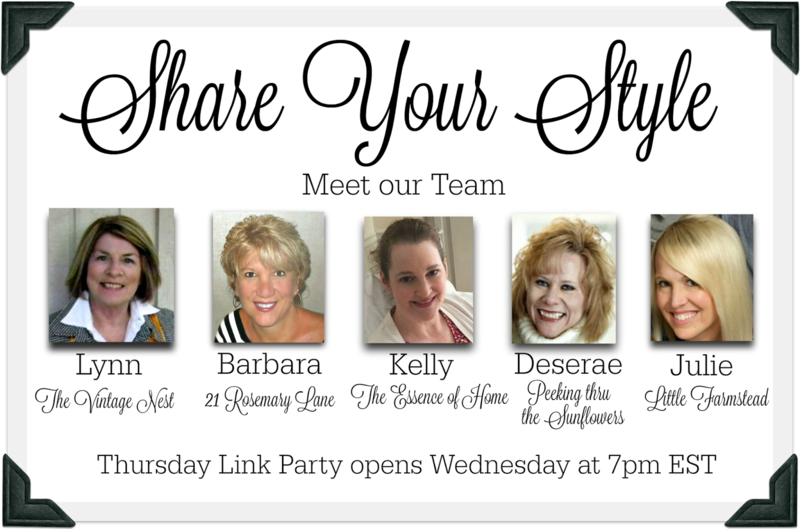 So, your link up will display on all five blogs at the same time! I have selected a few fun features from last week to share with you today. 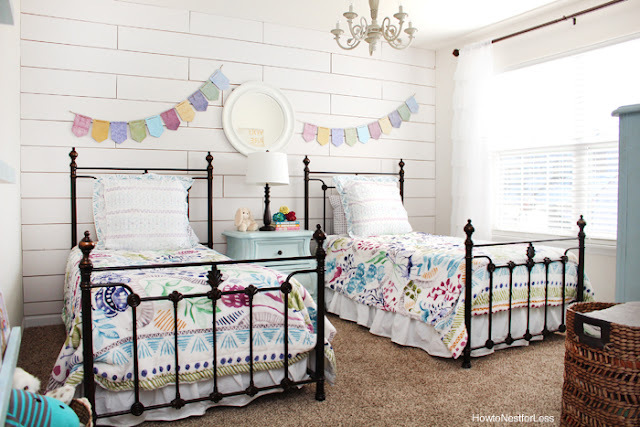 How to Nest for Less shared her daughters cottage bedroom makeover. I just fell in love with it! Too bad that I never had any daughters to do a sweet room like this for. 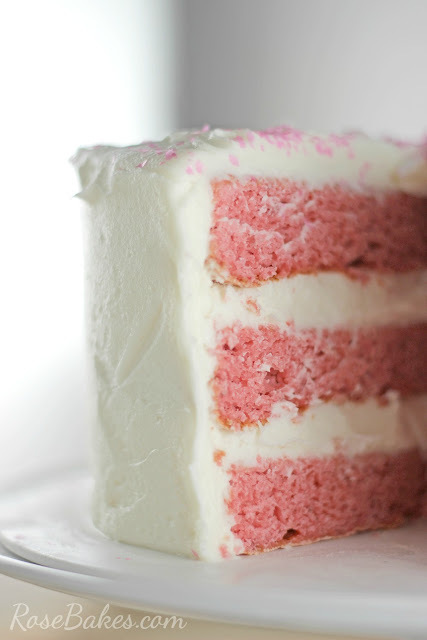 Rose Bakes shared this yummy recipe for strawberry cake. It looks so delicious and would be perfect for Valentines Day. Hmmmm.............maybe I'll give this a try myself. 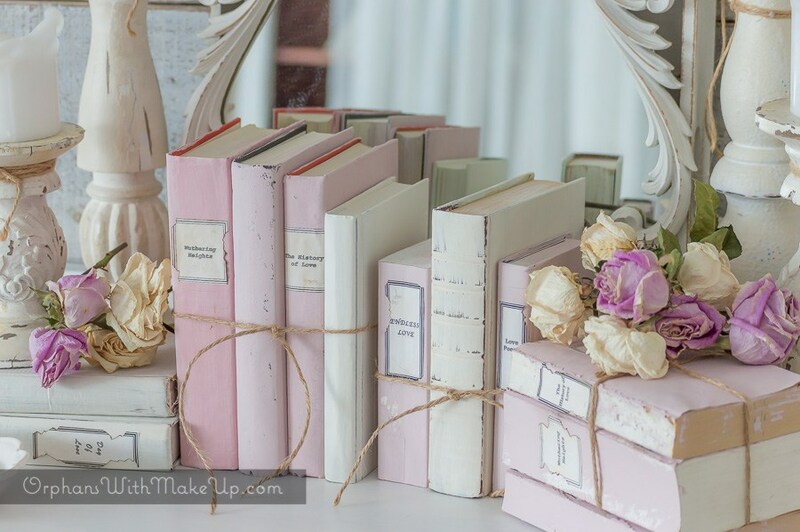 Orphans with Makeup shared how to make these beautiful pink and white shabby chic book bundles. I love how easy they were, yet so unique and pretty too! Do you notice a theme to my features? I think I'm attracted to everything feminine! If you were featured, please grab this button and display on your blog. Ok, now it's your turn to show us what you've been working on. 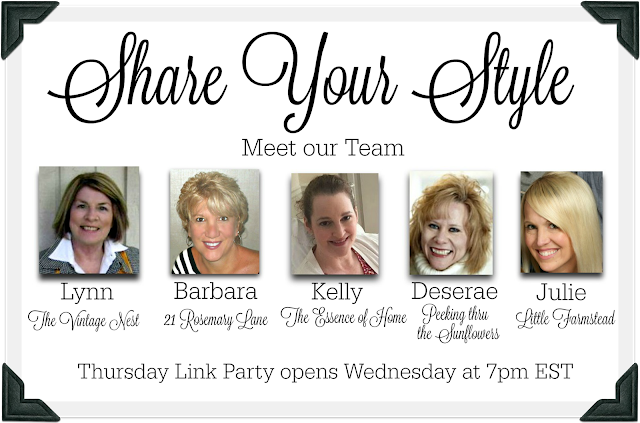 Please remember to include a link back to this party on the post that you're sharing with us. Thanks for hosting Kelly! I love all the features!! Thank you, for the party, Kelly. I just love the new bedroom for the girls....sooo pretty! I can't imagine how nice the room looks in person. The pictures are so lovely. My New Appliances are Installed! It's Cold Outside but Sunny Inside!